Toronto – The Toronto Argonauts Football Club provided the following update on the location of the team’s upcoming regular season home game on Saturday, October 17 against the Calgary Stampeders. Fans whose ticket packages include the October 17 home game will continue to be contacted by Toronto Argonauts ticket representatives. Fans that have purchased tickets to any 2015 Toronto Argonauts home game that has been, or will be, displaced by the 2015 MLB post-schedule will be fully reimbursed once all disruptions are known. 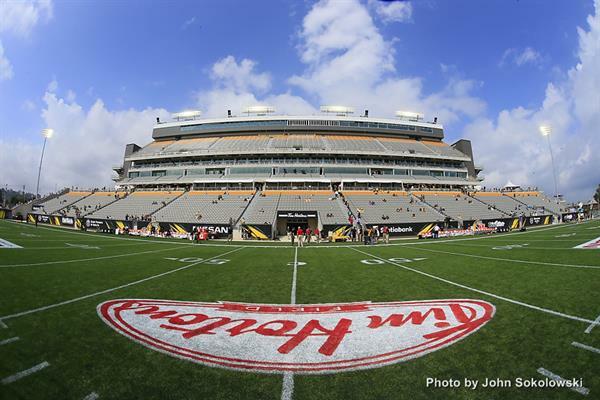 Ticket information for the October 17 game in Hamilton is available by calling an Argonauts ticket representative at 416-341-ARGO (2746). Tickets are now available for purchase online by visiting argonauts.ca or ticketmaster.ca .